Don’t Fall Prey to Scams! | ¡VidaMaz! Don’t Fall Prey to Scams! Scams are everywhere. From Canada to Chile, Russia to Italy, and China to Australia, you can bet con artists are eager to play with our ignorance (or innocence) and part us from our money. North of the border we read so much advice about how to prevent online fraud, identity theft, or telephone scams. We know the criminals especially target retirees. Then we move to Mexico. The scams here are different. It’s a different place, a different culture. We need to learn the ropes, educate ourselves on how to avoid falling prey to a con. We may not know the language, or we may struggle with it, as well as with the customs and “fitting in.” Such factors can cause us doubt, feelings of powerlessness and thus, make us more prone to getting duped. Con artists know human nature; they play on our hopes, fears and beliefs. And what’s one of the biggest stereotypical beliefs about Mexico these days? How violent it is—the preponderance of kidnappings and extortions. Most stereotypes are grounded in truth, but they become so generalized, applied so broadly, and become so firmly fixed in our psyches, that they become false “truths,” boxes into which we habitually throw people, without using our minds or our other senses as filters. The smallest glimmer of the stereotype in the back of our minds provides a direct beeline to our fear response. And that is just what the criminal wants, whether we’re a local or an immigrant. Do you know the most common scam here in Mexico? 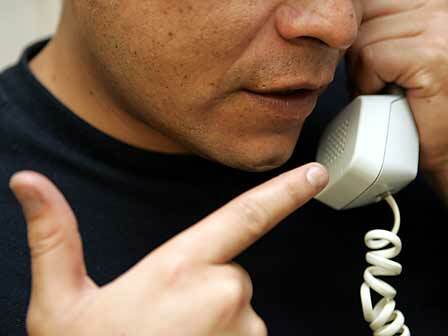 It is a phone scam, 80% of which take place in private homes. Someone, most likely from a jail, calls our home. They either say they are our long-lost cousin or compadre who needs help, or they tell us they have our spouse or children held hostage. This latter is enough to get most anyone upset and, when we’re upset, we too often fail to act rationally. Remember that such phone scams are probably no worse than a scam north of the border but, because they play to our fears for our family, it can put us off balance. Think things through now, so that you are prepared if this happens to you. First, think! Do we know the person on the line personally? Is this the person’s voice? Be assertive. Ask questions. Use common sense and intuition; if something doesn’t seem right, it’s probably not. Especially if the person is asking us to leave where we are, go outside, go into a hotel or certain store—don’t do it! Second, hang up. That is the advice we most often read in the local newspapers. If someone calls us and we don’t know who they are, especially if they are asking us questions or threatening us in any way, hang up. More often than not they will call back. Don’t pick up. We may worry about not understanding the Spanish, about offending someone by hanging up. But, if it doesn’t feel right, we are wise to trust our instincts. Never, ever, give out any personal information! This is true north and south of the border. If someone tells you they have your spouse or your children, or they are your long-lost cousin, don’t give them a name! Don’t tell them where you live. Don’t give them any information. Play the scenario through in your head, several times, so that the response will come more naturally should such a scam call ever come in. It’s a call we’re not prepared for. It plays to our deepest fears, and our deepest stereotypes. Don’t let it claim you. If you find yourself unable to hang up, press those on the phone for information. Plan this ahead of time, so you can think clearly in a crisis. Ask them what your spouse is wearing, or on which side of his head your (bald) spouse parts his hair. Hopefully hearing a wrong answer will then give us the courage to hang up the phone. Once you hang up, contact your spouse, children or cousin to verify that they are ok. You will feel better. Remind yourself that the caller was likely contacting you from outside Mazatlán. The most common calls here in town come from prison—and prisons even as far away as Tijuana! Most often, they just want spending money or time on their phones. But we’ve had friends, local and expat, who’ve given away much more than that. The caller is most likely not watching you or your family members. They are talking about kidnapping because they know it will more likely scare the money out of you. Stay smart and safe, everyone! Remember, Mexico is a beautiful place, and we choose to live here for awesomely wonderful reasons. Like anywhere, we need to stay aware. Perhaps if we do, we can start to break the cycle of violence that is the kernel of truth in the stereotypes about our adopted home. 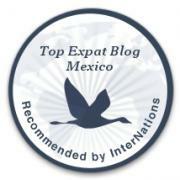 Pingback: Foreign Resident Meeting with Sinaloa Attorney General | ¡VidaMaz!